When Cath Callaghan’s mother-in-law, Sandra, could no longer get out without a wheelchair due to Parkinson’s Disease, the family needed a good quality wheelchair accessible vehicle as quickly as possible. 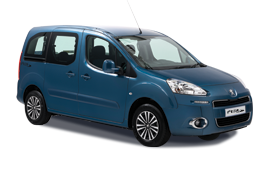 While browsing on YouTube, Cath came across a video of the Peugeot Horizon™ and her interest was piqued. A home demonstration was quickly arranged and with the combination of a great car which suited Sandra’s needs and our knowledgeable mobility advisors, Cath was happy to sign up with Allied Mobility. Sandra no longer has to wait for community transport. It only takes us five minutes to get in the car and ready to go. 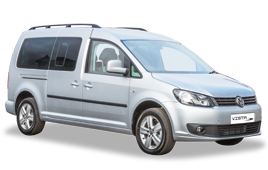 The flexibility of the Horizon™ interior has also proven useful for Cath when transporting her dad, who also has mobility problems which makes it difficult for him to get into many cars. Due to the higher cabin height, he is able to comfortably slide into the seat and the generous boot is able to accommodate his electric scooter. 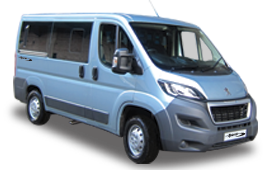 The RS version of the Horizon™ appealed to Cath due to the seating configuration that allows either driver plus four seated passengers or driver plus two seated passengers with a wheelchair. If you would like to check out more of our videos, click here to visit our YouTube page. 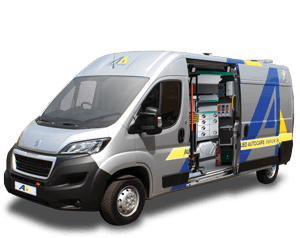 For more information on Peugeot Horizon™ or arrange a demo, please call the number at the top of the page, contact us via our Facebook page or click here.